Fontaine Sensa Field™ Automatic Faucets become available on Earth Day, April 22, 2009. New Radius Touch-Free Technology™ uses a capacitive field to activate when a hand approaches from any direction, saving money and preserving our environment by using up to 70% less water. Fontaine Faucets proudly announces the release of its new residential line of Sensa Field™ automatic faucets available at PlanetFaucet.com on Earth Day, April 22, 2009. Sensa Field represents the "Evolution of the Automatic Faucet" providing mass appeal for residential applications. Water conservation is a growing national concern. Following a recent U.S. Department of Agriculture report of serious droughts in 11 states and abnormally dry conditions in 17 more states, Americans are feeling the effects of water shortage. In March, Los Angeles utility officials approved higher water rates that will penalize residents who don't cut their water use by 15 percent. With water conservation being a chief environmental concern, automatic faucets have long been a widely popular way to conserve water in public restrooms. Advanced technology is now available to bring water conservation to homes. We're all familiar with those unsightly and difficult to operate automatic faucets inside public restrooms. Most of them use an infrared beam to detect motion. The disadvantage of infrared technology is that your hand must be moving exactly in front of the beam to operate the faucet. Often times you need to continually wave your hand to keep activating the sensor. Then there are those commercial faucets that operate with a spring and you find yourself constantly having to press the handle to be able to adequately rinse soap from your hands. It's no wonder this technology has not caught on in the residential market. Finally a solution is available to conservation minded consumers. Sensa Field Sensa Field faucets eliminate all of the problems people have experienced with commercial hands-free technology. The new touchless faucets from Fontaine utilize Radius Touch-Free Technology™. A capacitive field surrounds the spout and is activated when a human hand approaches from any direction. Since the faucet does not rely on motion, the faucet will stay on as long as your hand is in range, assuring reliable use every time. Great for powder rooms, guest bathrooms and kids' bathrooms, these innovative and beautiful automatic faucets add a touch of style to any décor. Along with the added benefit of saving in water consumption, Sensa Field faucets also promote better health by virtually eliminating germs transmitted by touching the handles of a regular faucet. This also makes faucet clean-up less frequent and a lot easier. Because there are no handles, you can also enjoy more counter space. The technology is so amazing that it's sure to get a reaction from your houseguests - definitely adding that "WOW" factor to any bathroom. If you can replace a regular faucet you, can install a Sensa Field faucet, making it ideal for do-it-yourselfers. With quick connect hoses and no handles, installation is about as quick and easy as that of a regular faucet. The Sensa Field can operate for up to 7 years on a set of 4 D batteries, or an optional A/C power supply can be purchased separately. Sensa Field is safer than a manual faucet because the water is preset to the comfortable temperature that can also be adjusted. This prevents small children from getting scalded by accidentally turning on the hot water. Families will feel good knowing that children or elderly family members will get just the right temperature automatically, every time. Best of all, this technology pays for itself with the money saved by using up to 70% less water with the help of automatic shutoff and water-saving aerators. 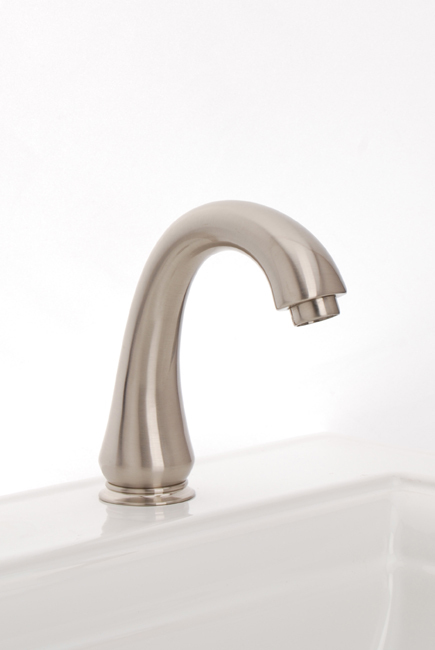 Sensa Field comes in eight of Fontaine's most popular lead-free faucet styles in bronze, brushed nickel or chrome finish, proving style can be an excellent investment. Choose any of these popular faucets and you can also coordinate with Fontaine's selection of matching tub/shower sets and bathroom accessories. "I always wanted to develop a line of automatic water saving faucets suitable for the residential market, but until now, the styles and technology were too archaic," says Fontaine President and Founder Andy Martin. 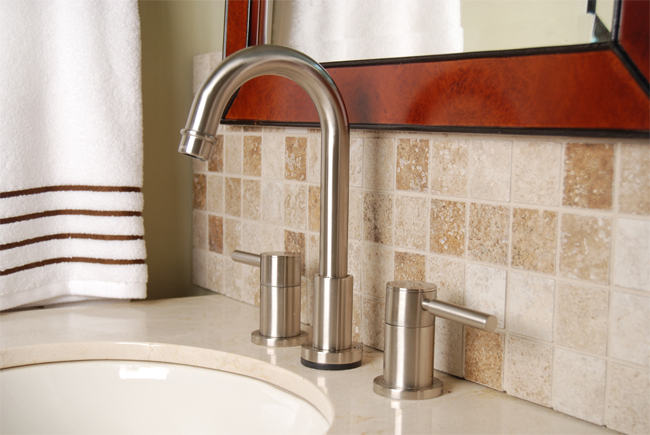 "Faucets should be the centerpiece of any bathroom. To be able to marry beauty and incredible water conservation technology in a residential application is a real thrill whose time has finally come." Fontaine wishes to inspire awareness and appreciation for the Earth's environment. Celebrate Earth Day on April 22, 2009 by reducing your water usage in a beautiful way with a Sensa Field hands-free faucet by Fontaine. Prices are in the $300 to $400 range, which is a small price to pay for water conservation and the other many benefits. Fontaine is known for its stylishly affordable line of faucets, sinks and accessories sold on Costco.com, Target.com, Buy.com, Overstock.com, Amazon.com, PlanetFaucet.com and a number of other websites and Kitchen & Bath Showrooms across the USA and Canada. 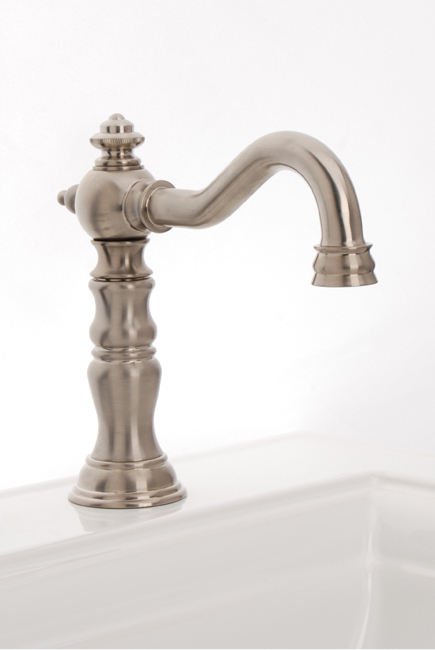 For more information, call 1-800-476-2950 or visit fontainefaucets.com/sensafield.